"The diamond on the Mediterranean"
Netanya, capital of the "Sharon" district, is located close to the seashores of the Mediterranean Sea. It is the largest city on the crossroads between Tel-Aviv and Haifa forms a connecting link between the northern and central parts of the country. Due to its central location near the Tel-Aviv - Haifa railroad tracks, 30 kilometers north of Tel-Aviv and 50 kilometers south of Haifa, Netanya has become a center for tourists as well as for industrial development. Netanya was founded as a colony in 1928 by second-generation farmers, members of "Bnei Benjamin" (named after Benjamin Ze'ev Herzl). They developed a flourishing agricultural center based principally on citriculture, starting with digging a well. (The Well House built in 1927, a commemoration site of Netanya’s early days. End of Sokolov St.). The first settlers assumed that in view of the attractive location near the beach there will develop a bathing resort. 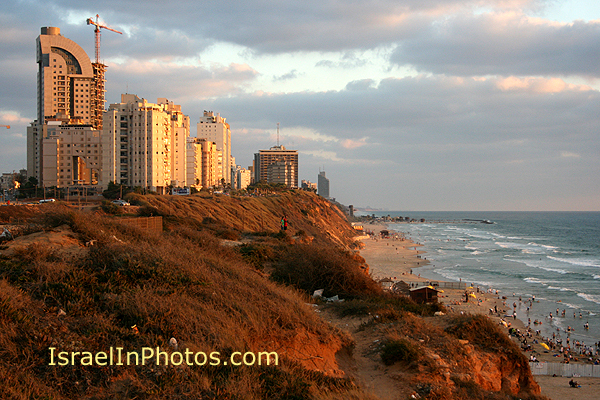 Netanya was by the way the only Jewish colony which is convenient directly to the coast. The lands of three Palestinian villages emptied in the 1948 Arab-Israeli War later became part of the city – Umm Khalid (1945 population 970), Bayyarat Hannun, and Tabsur. Netanya was named in honor of philanthropist Nathan Straus, the owner of Macy's department store in New York at the turn of the 20th century. Nathan Straus devoted himself and much of his significant fortune to philanthropy throughout Israel. In recognition of his contributions, the modern Israeli city of Netanya was named in his honor. Netanya has become a well-known tourist and resort destination as well as for industrial development and special the diamond trade. Netanya was home to many diamond-cutters and polishers who came to Palestine primarily from Belgium before and during World War II. 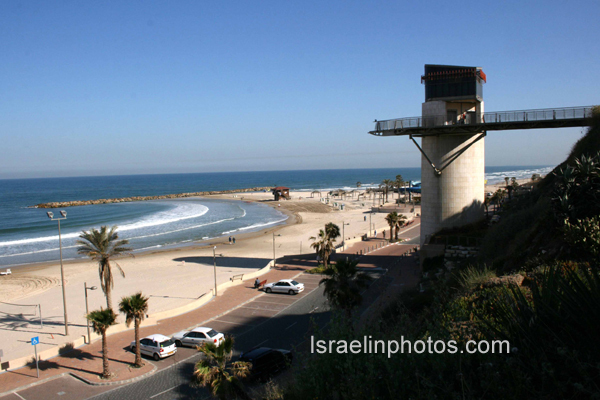 Netanya has one of the most beautiful stretches of beach in Israel, with golden sands, the never ending promenade, wild cliffs and inviting waters. As a true resort city, Netanya offers many entertainment, cultural and recreational facilities. Netanya is a diamond on the Mediterranean, with a mild climate, delightful gardens, promenades, malls and an elevator to the beach, a wide range of hotels and activities all year around. Endless sport facilities, 11 kms of enchanting white beaches, water sports, paragliding, horseback riding and much more.